I’m frantically trying to get quite a few craft related things done over the next week; be completely up to date on Project Life, make two Christmas picnic quilts before the first of the Christmas parties, and prepare my Christmas Planner and foundation pages for my December Daily. 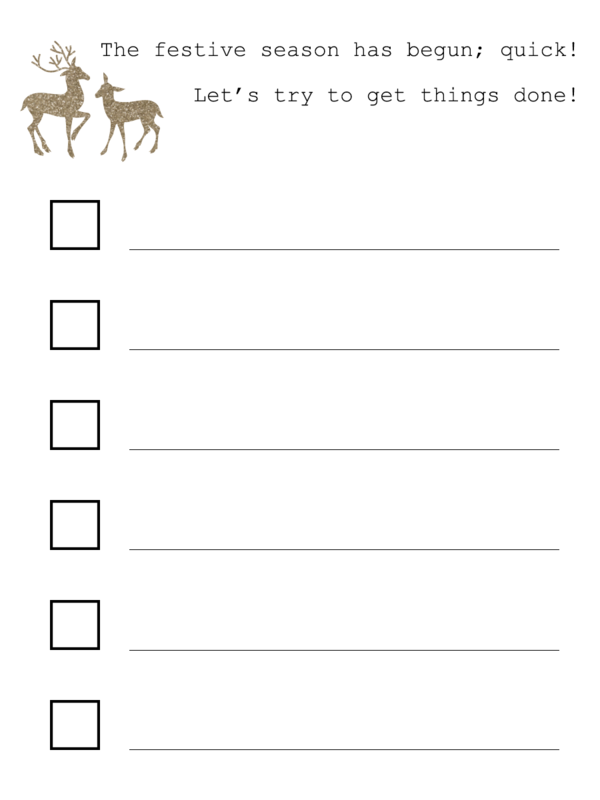 In order to stay on track, particularly with the Christmas stuff, I’ve whipped up some Christmas to do lists for my planner. 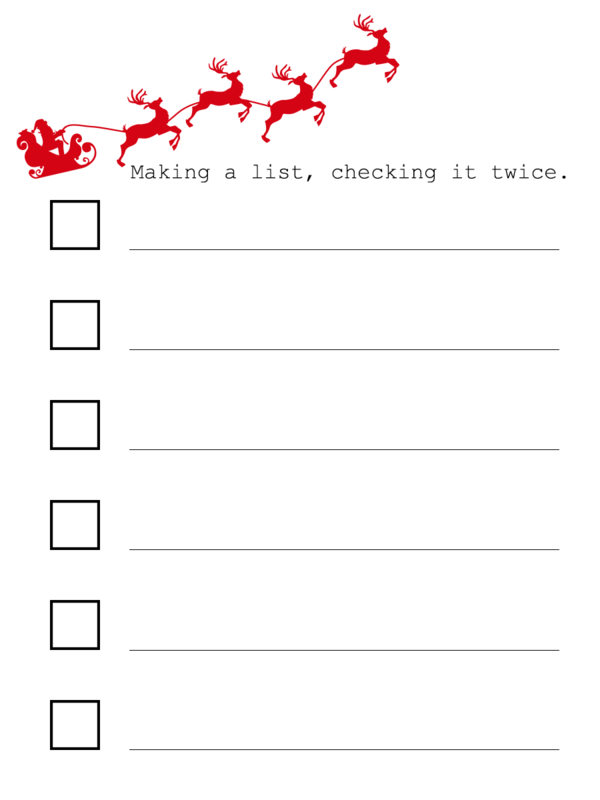 If you can use a Christmas list or two, feel free to print them out. 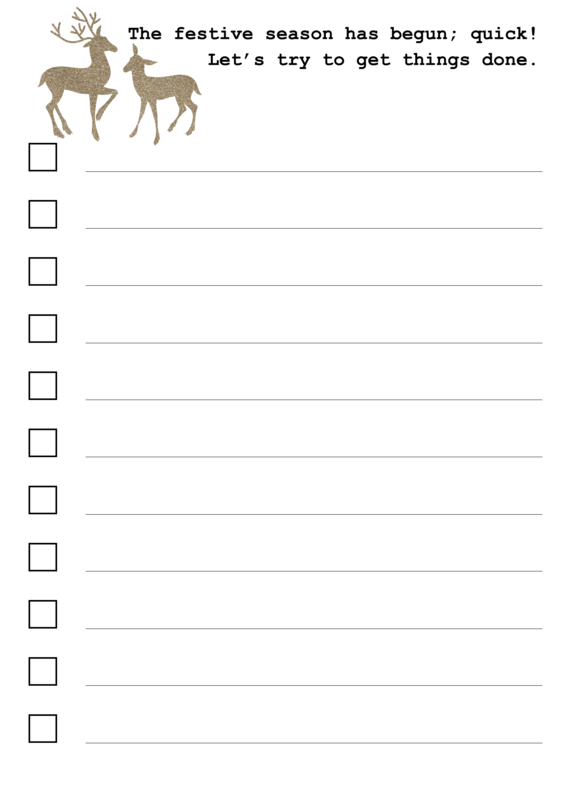 I’m using a 6×8 Stampin’ Up planner that I bought on clearance mid-year. 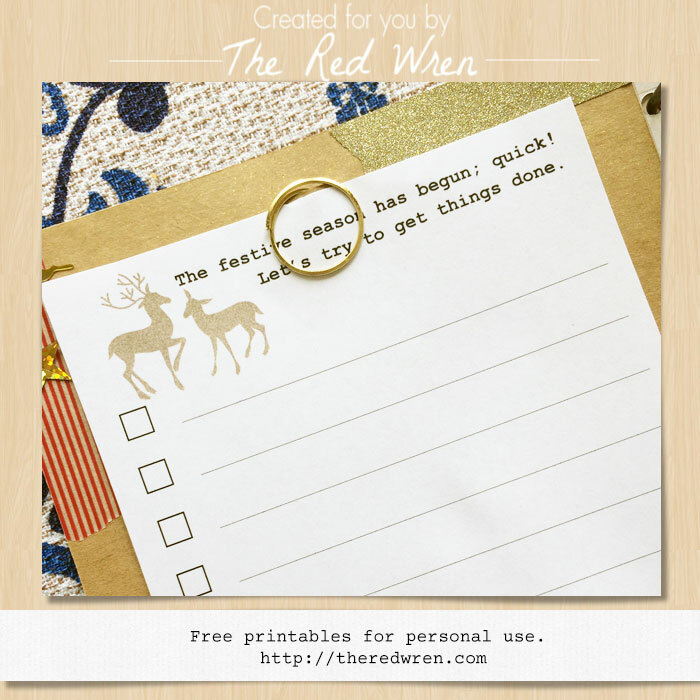 I’m treating it as a Christmas planner/journal in conjunction with my December Daily album. Once Christmas is over, this will not only have Christmas planning type stuff in it, but it will be a record of this years decorations, entertaining, sewing etc. The stuff I like to take photos of that took up too much room in last year’s December Daily album. This will free my DD up for daily photos and they’ll be room for more; especially when we’ve been to an event. 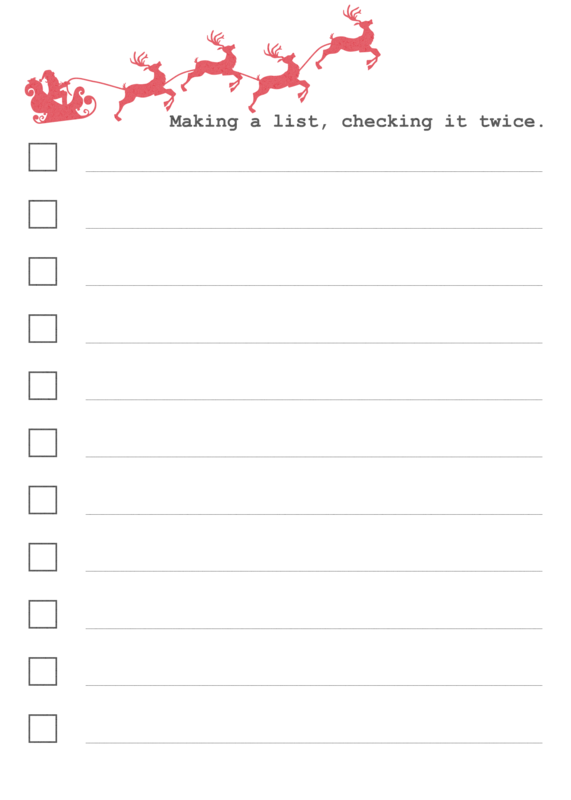 I will need more than just a couple of lists, so I’ve cut a slit in some kraft cardstock to allow a paper clip to pass through and will print new lists as I need them. 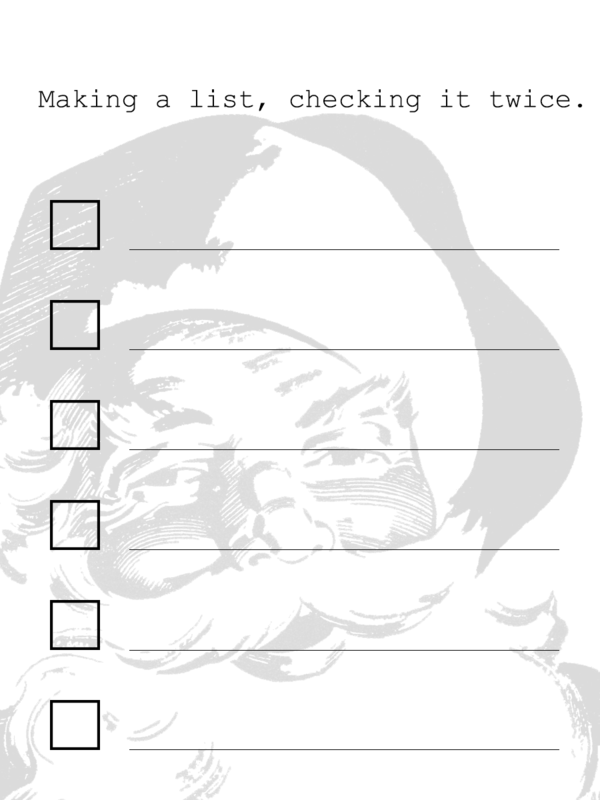 The lists are 5×7 inches, but you can always resize them smaller if that works better for you. To download them, click on the individual pictures below so they open full size, then save. I had some interest in 3×4 inch versions. I’ve had to reduce the number of boxes, but I hope they are useful for someone! I’ve also included a third style. Click the images below so they open full size, then save them. Love,love,love them Renae! Thanks for the add ons! The Santa one is adorable! I love these and so appreciate your giving them to us!! I really, really love the Santa! Wish I knew how to make these, I would love to have just him! Thanks for your kindness! These are great – thank you so much!